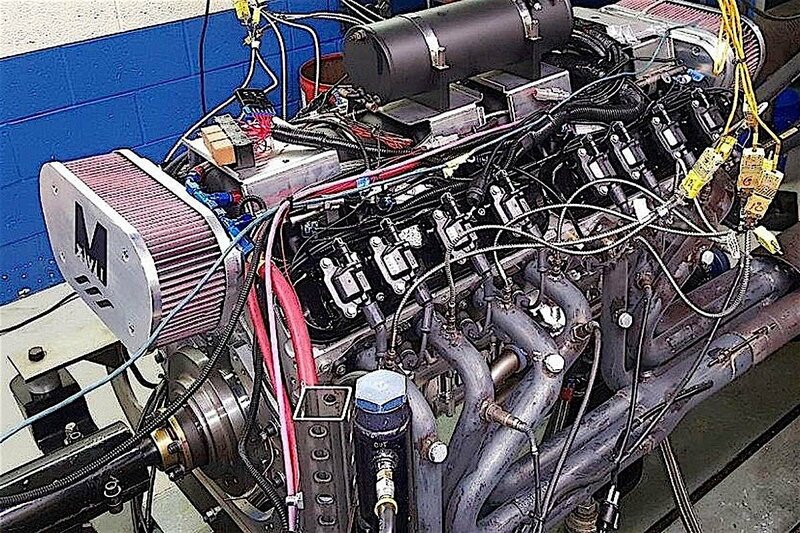 A new LS-based V16 engine capable of 1,200 to 1,400 horsepower without boost was introduced today at the Miami Boat Show. 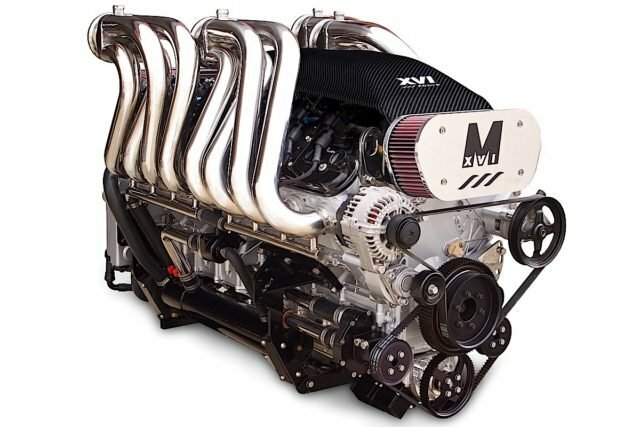 The foundation for this 14-liter marine powerplant is a patent-pending M16 cylinder block that supports four production-style LS3 or LS7 cylinder heads along with separate conventional intake manifolds. Unlike many other V12 or V16 engine projects that weld two cylinder blocks and two sets of cylinder heads together, engineers from Sixteen Power designed a bespoke single-piece cast cylinder block constructed from A356-T6 aluminum–which has more desirable material properties than 319 alloy often used in OEM engines. The block is spread between the front eight and back eight cylinders so that two sets of 6-bolt LS cylinder heads can be installed without modification. The V16 features water-cooled tubular headers. The block is tooled for a premium low-pressure aluminum casting process that yields higher tensile properties than most aluminum blocks. There is a separate ladderframe-style crankcase assembly that supports the 10 main caps and provides a rigid bottom-end structure. 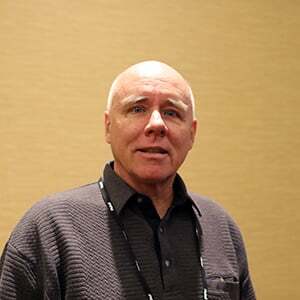 “We went with 10 main bearings just for additional support in the middle,” says Newman, adding that there are nine camshaft bearings for the bespoke 32-lobe camshaft. Designed for powerboats up to 55 feet in length, the V16 engine will make from 1,200 to 1,400 horsepower naturally aspirated. 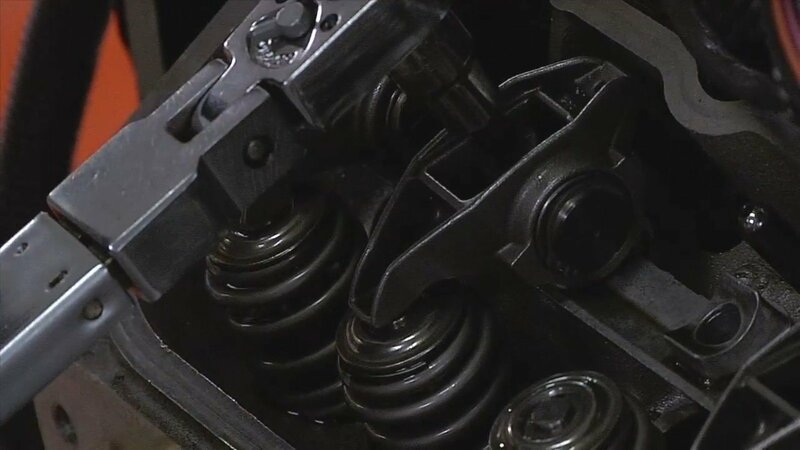 There’s also a 1-piece billet crankshaft ground with BBC-sized mains, and Sixteen Power has the option of stepping up to Duramax-sized mains when boosted applications are developed. The objective is to maximize journal overlap to improve crankshaft stiffness. The crank is designed with traditional 90-degree throws and is fully counterweighted. 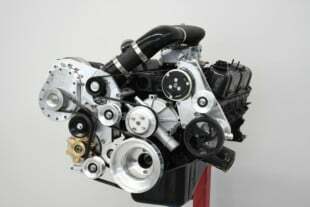 At 14 liters, the engine is basically two LS7s mated together, so the 4.125-inch bore and 4.000-inch stroke dimensions remain. Compression ratio is 10.7:1. Two-stage water pumps are located on each side to provide cooling under normal and high-load conditions. Note how the LS heads are installed. “With a quad-turbo we would likely destroke for even more overlap,” says Newman. Initial reactions would suggest that the engine would be vulnerable to unwanted harmonic issues. However, Newman says that with an even-fire combustion pattern, harmonics appear to be under control. 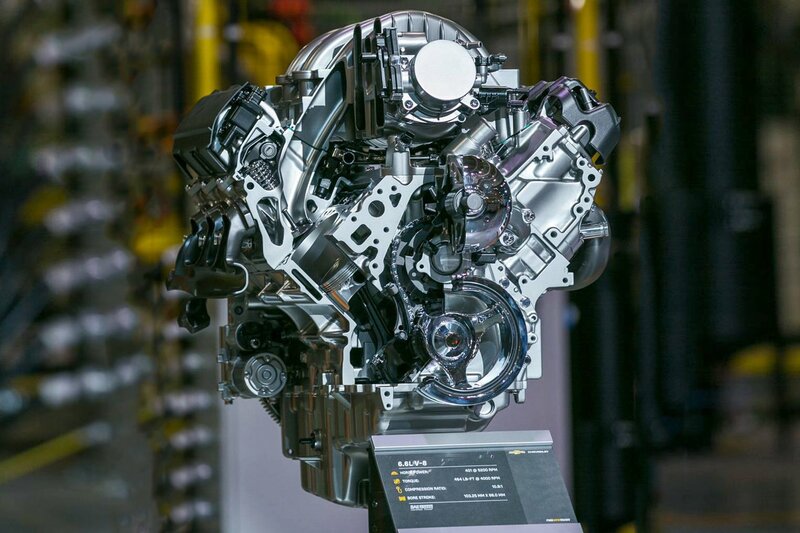 “We have lower instantaneous acceleration on the crank because we’re firing every 45 degrees [of crankshaft rotation], so the harmonics are very much in line with a production engine,” he says. 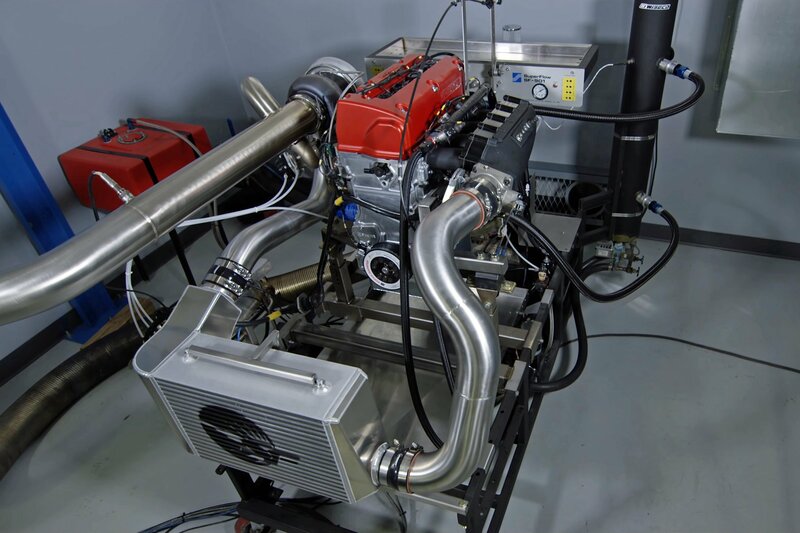 Initial dyno tests were conducted with LS3 heads, but a more powerful version is being developed with LS7 heads. The current engine design includes dry-sump oiling, using a 6-stage pump. There are five scavenge stages and one pressure–with one of the scavenge stages used to pull oil from the top of the engine. Piston squirters are part of the lubrication system as are two thermost-controlled oil coolers. To reduce windage, Sixteen Power designed a drain-back system that starts with a upper valley that leads to a central pocket where the oil flows to the pan for scavenging. Sixteen Power teamed with Performance Design and developed the unique block after studying the needs of the high-performance marine market and establishing a goal of becoming an OE supplier for 36- to 55-foot powerboats. As a company news release said: “the horsepower wars in the performance boating market was simply making better grenades.” Newman had been part of the team that designed a V16 for a concept vehicle in 2002. The prototype featured a dedicated but expensive block and head. Here’s how the engine looks installed in a boat. With an architecture that supports production-style cylinder heads, the team has access to dozens of LS3 and LS7 port designs for different power applications or customers. 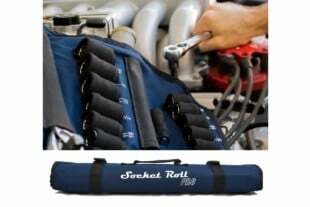 Conventional intake manifolds designed for the chosen cylinder head can also be used. Right now the engineers are not adding a balance provision, but a bespoke single-piece unit being developed will have a common plenum. 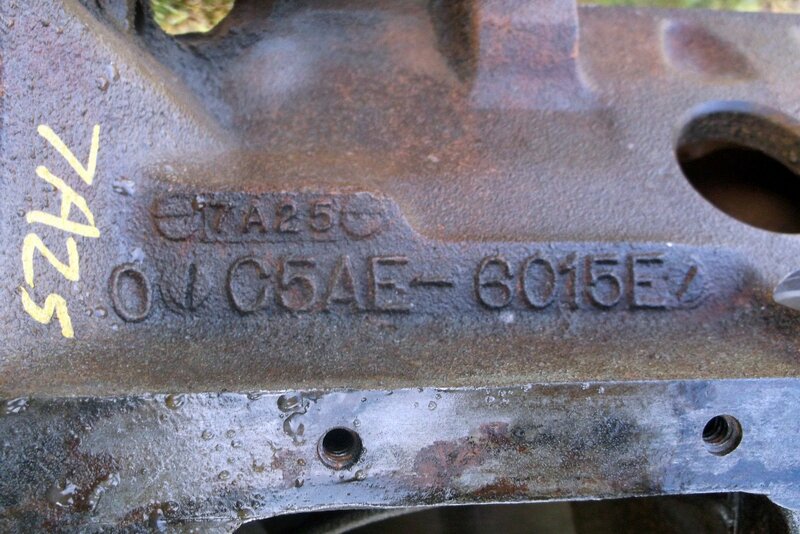 Since both throttle bodies are drive-by-wire, the ECU can balance the MAP readings for even distribution. 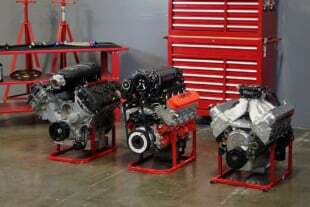 Sixteen Power has set a tentative redline of 7,000 rpm for the naturally aspirated model with a goal of 1,200 horsepower, although a 1,400-horsepower model is in the works–probably with LS7 heads. A supercharged model could make 1,600 horsepower, and upwards of 2,000 horsepower is possible with a quad-turbo configuration. 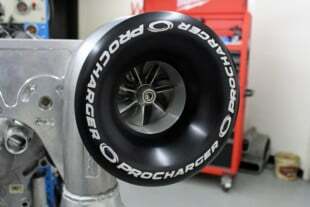 If there’s enough interest, the company will explore a 900-horsepower model that is built for extended reliability.